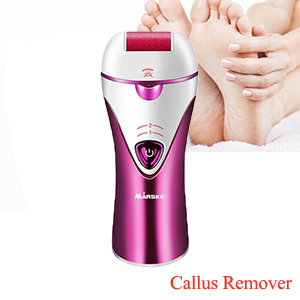 3 in 1 multifunction: Three heads are interchangeable and washable - lady shaver and femal electric epilator and callus remover, No need to separately buy all of different personal-care accessories ,you will own all to slove your hair and foot personal care accessories. 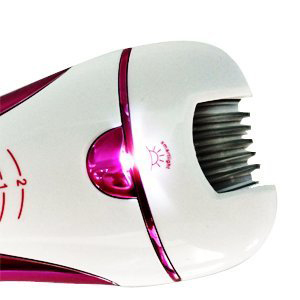 LED light: it will light up when operating, this will help you easily capture the tiny hair even at night, hair removal without residue. 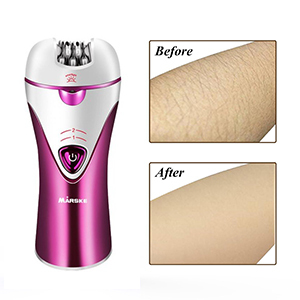 WHY CHOOSING OUR HAIR EPILATOR ? 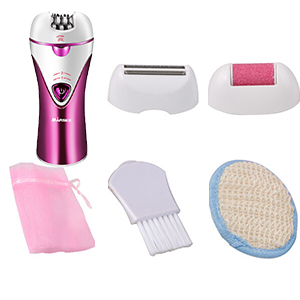 1. epilator comes with 3 function heads ( lady shaver and femal electric epilator and callus remover,) Professional design heads based on the feature of body parts. No harm and No Stimulation to Skin, efficiently remove unwanted hair and dead skin, bring you a silky skin from head to foot. 2. Rechargeable & Cordless & High capacity battery & Portable Design, Easy to carry with the Velvet Bag (INCLUDED) when traveling. The woman's shaving machine is exquisite and small and looks comfortable! Armpits, arms, legs, all available! Head is light design, human nature is ben! Provide you with a comfortable, safe and smooth shave. 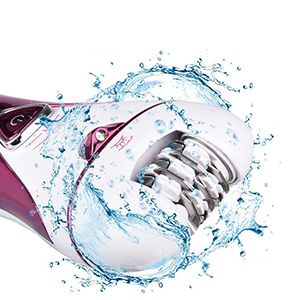 Efficient Shaving with best epilator. Wide and gentle two epilator heads for smooth short and soft hair removal, even the shortest, finest hair on the underarms, bikini line and hard-to-reach areas, such knees and ankles. it will light up when operating, this will help you easily capture the tiny hair even at night, hair removal without residue.